Several companies announced demonstrations they are planning for attendees at the International Wireless Communications Expo (IWCE) March 6 – 7 in Las Vegas. ESChat and Zetron will demonstrate an integrated dispatch and broadband push-to-talk (PTT) solution. The two companies integrated their solutions in the past using both basic and advanced methods. Basic integration methods only allow for group-based communications without the ability to pass user IDs between systems. Advanced integration can be performed when both products are connected to a common digital LMR system, such as Project 25 (P25) using the Inter RF Subsystem Interface (ISSI) and Console Subsystem Interface (CSSI) or Digital Mobile Radio (DMR) using the Application Interface Specification (AIS) interface. This demonstration supports all the features of the integration, without the requirement for the P25 or DMR system. ESChat and Zetron systems have been integrated using the AIS standard, which is the console interface for DMR systems. The ESChat and Zetron solution via AIS supports group, emergency and private calls, as well as the passing of user IDs. The companies anticipate the the AIS-integrated solution will be commercially available in the spring. Icom announced an event that will allow visitors to be hands-on with the company’s latest gear. The event will highlight the RDT Software Tool and LTE-CONNECT products — the IP501H (portable), the IP501M (mobile) and the new VE-PG4 gateway. LTE-CONNECT is Icom’s Long Term Evolution (LTE) radio solution. This network provides telephone-style conversations with conventional two-way radio features. Individual, group and all calls are now possible between multiple users. LTE-CONNECT operates on an Icom-controlled, private and secure network. This new LTE radio solution is perfect for teams in need of simple, nationwide communications solutions. Freedom Communications Technology will demonstrate AutoTune for Hytera Digital Mobile Radio (DMR) and BK Technologies KNG S radios, its new DMR live repeater option, a full suite of TETRA test options and the company’s recently introduced Process Automation Toolkit (PAT). The Hytera AutoTune option is the latest extension of the AutoTune automated test and alignment portfolio. The option works with both legacy Hytera products and its newly announced i-Series. AutoTune for KNG-S radios is a new offering for this radio line used by state, local and federal government agencies nationwide. The DMR live repeater feature allows technicians to service DMR repeaters, taking all needed measurements without the need to put repeaters in test mode. Freedom will also demonstrate its complete suite of TETRA test options. Finally, PAT brings automated testing within the reach of every technician. Every mode, function, meter and protocol can be automated with a few mouse clicks. In addition, Freedom will demonstrate its fully operational R9000 6GHz Long Term Evolution (LTE)-ready test set. 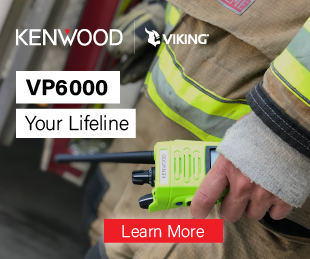 The R9000 is the first LMR test instrument scalable to service First Responder Network Authority (FirstNet) LTE, along with the entire range of LMR protocols. Siyata Mobile will demonstrate the UV350. Additionally, a global LMR and push-to-talk (PTT) software provider will highlight the in-vehicle PTT capabilities of the UV350 with live demonstrations. The UV350 is the first Long Term Evolution (LTE) vehicle-mounted smartphone with carrier-supported PTT, voice calls and data applications on a 5.5-inch horizontal screen. Always connected and always powered, the device’s dedicated microphone and speakers bring crystal-clear, extra-loud sound quality, with the added benefits of extended cellular and GPS coverage to provide in-vehicle cellular coverage on a nationwide network.